I'd like to introduce you to a short story from one of my dearest authorly friends and a fabulous writer, Jessica Fortunato. She's already written The Sin Collector and The Sin Collector: Thomas, two gems in her super original paranormal series. 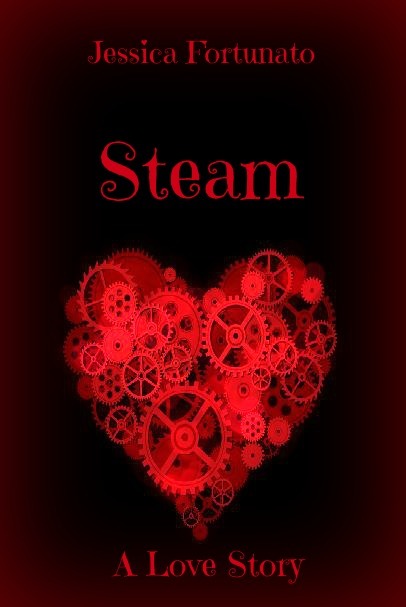 Check out her new story, a clever steampunk romance that I can't wait to dive into. (Also the cover is gorgeous, isn't it?) Enjoy! Steam is a new short story from author Jessica Fortunato. Also from Fortunato is The Sin Collector, The Sin Collector: Thomas and the short story Banished which can be found in the Nocturnal Embers Anthology. She lives in Pittsburgh PA with her family and ever-growing menagerie of pets. Find Steam, exclusively for Kindle February 1st, 2013 (and look for a review on Sarcasm & Lemons soon)!